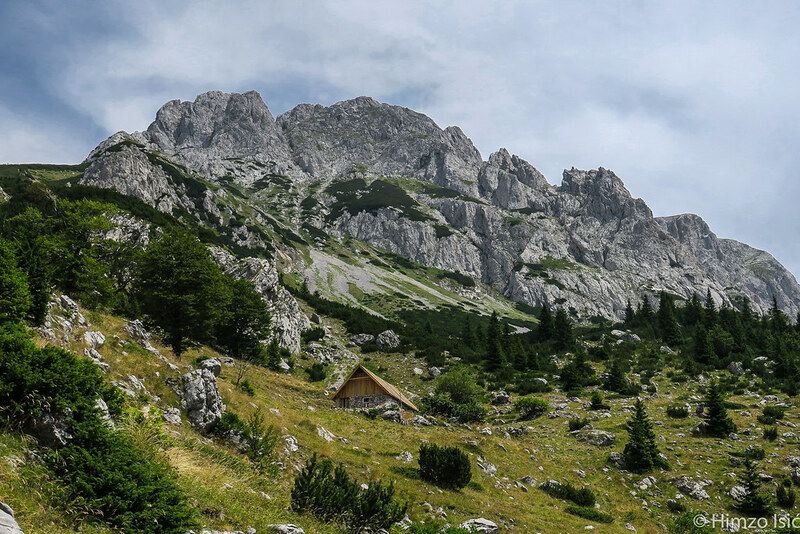 While it may belong on the list of small European countries, Bosnia and Herzegovina’s mainly mountainous and rugged terrain makes it a truly attractive hiking destination. The fact that the now famous, and highly recommended, Via Dinarica passes right through Bosnia and Herzegovina, with Maglić and Prenj as some of its main highlights, says a lot about Bosnia’s hiking potential. If planning a hiking tour of Bosnia, it is important to choose the right hub from which to launch your hiking endeavours. The most visited cities in Bosnia and Herzegovina are by far Sarajevo, the capital, and Mostar, which is Herzegovina’s largest city, located further south and famous for its Old Bridge. Both are good choices; however Sarajevo is better equipped in terms of infrastructure, has a richer nightlife and a greater variety of places to stay. Most of the mountains in Central Bosnia are almost half-way between Mostar and Sarajevo, situated on the outer edges of and often penetrating into Herzegovina territory. The mountains of Maglić and Zelengora in Eastern Bosnia are also pretty much equidistant from Sarajevo and Mostar, with the road from Sarajevo to the East being slightly better and more comfortable, and the Olympic mountains of Bjelašnica, Igman and Jahorina a mere 20-30 mins drive from Sarajevo. 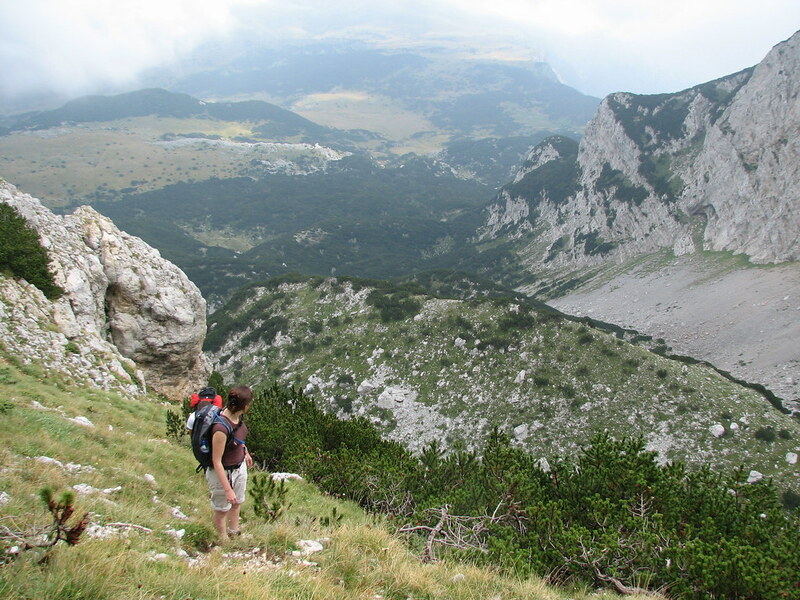 You can hike on any mountain in Bosnia and Herzegovina without a permit, the only exception being a visit to the primeval forest of Preučica, located within the Sutjeska national park, which needs to be pre-arranged and must be done in the company of park rangers. Facilities on the mountains, such as huts, vary from mountain to mountain, but are manned for most of the year. Popular routes are well marked, while alternative ones can vary. Camping is possible on all the mountains, and an unforgettable experience in the warmer months, just use your common sense and be wary of general camping precautions. This is the most mountainous region of the country, and as such is rich with hikes that provide exhilarating trails and breath-taking views of ancient massifs, valleys and mountain lakes. You can access these relatively easily from the towns of Konjic and Jablanica. Visočica is located South from Bjelašnica, and South from Sarajevo. 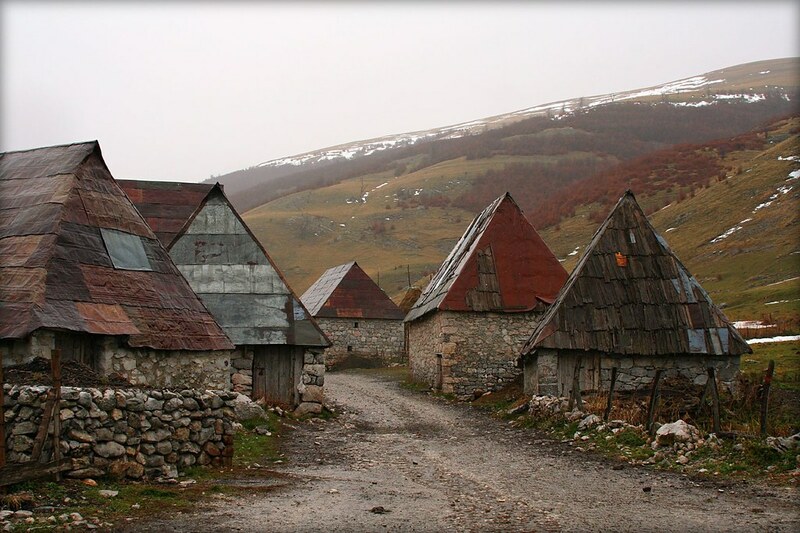 It is best visited coming from Sarajevo by car and staying in the villages of Umoljani or Tušila. Both of these villages have a well-established infrastructure of places to stay and eat and are connected with Sarajevo via a recently reconstructed asphalt road. The most popular and perhaps best approach to reaching the top is to take the route through Jezera. The route is marked, but at places the markings can be scarce and far between. Hiking from Umoljani or Tušila to Visočica’s peak (called Džamija or Mosque at 1967m) and back is a one-day hike that can be undertaken by families and inexperienced hikers. Visočica is a barren mountain and a landscape that is best described as surreal and at places even eerily beautiful, the terrain in some parts resembles more the Moon than Earth. This effect is further augmented by the fact that Visočica is not an overwhelmingly popular destination, and you will rarely meet others during your trek. The surface is covered with talus-sized hard rocks and grass, making the ascent relatively undemanding. The ascent isn’t particularly steep, save for the final stretches towards the two most popular peaks of Džamija and Veliki Ljeljen. Hikers will also be greeted by unique medieval tombstones, now officially part of the countries’ protected cultural heritage, in several locations. The barren surface means there is no shade during the summer months, when many of the mountains water sources also run dry, so don’t forget to take water with you at this time of year. Čvrsnica is part of the Nature Park Blidinje and is a mountain that has a lot to offer. 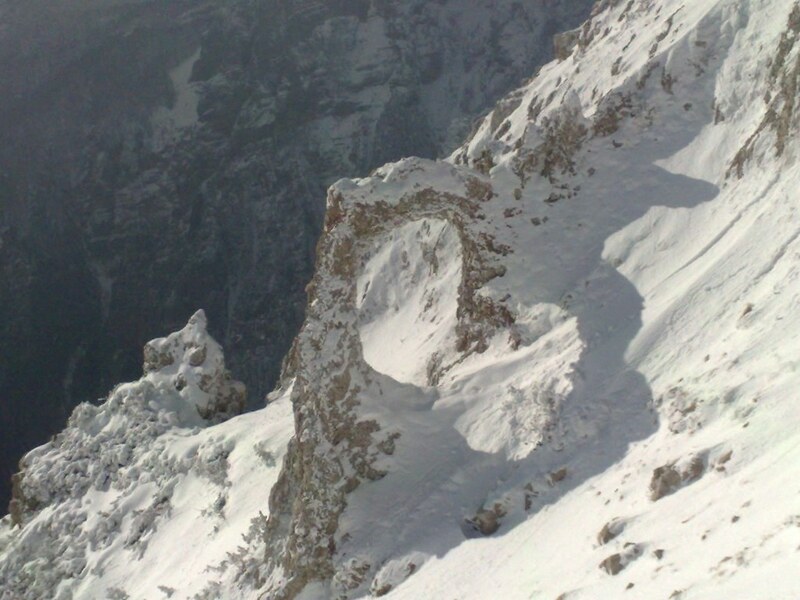 It is home to the highest lake in Bosnia and Herzegovina, a large number of caves and sinkholes (many which retain snow even in summer) and a truly unique natural phenomenon known as Brigand’s Door, which is a protected natural phenomenon best described as a ring formed of rocks. Čvrsnica is best visited via Jablanica, which is a town located about an hour and a half’s drive from either Sarajevo or Mostar. From Jablanica it will take another 45 minutes to reach the starting point. The ascent to Čvrsnica’s highest peak (Pločno 2228m) is a varied. The start is pretty easy, well-marked and will take you through beautiful forest. After about 3 to 4 hours of hours of hiking you will reach the Vilinac mountain hut. From there, after about an hour of hiking you can visit the famous Hajdučka vrata, which overlooks the unforgettable Diva Grabovica canyon. About 20 minutes on you can see Lake Crvenjak, the highest lake in Bosnia. The peak of Pločno is 1 or 2 hours away, it’s a relatively flat and easy hike save for a rocky stretch that requires patience and good footwear. The final part of the ascent is a rather steep, partially occupied by a military telecommunications facility. Visting Čvrsnica is also a great opportunity to see the Blidinje Lake, Bosnia’s largest mountain lake. It is crystal clear, freezes over in winter resembling a large skating rink and is also home to an endemic species of Triton (a kind of snail). Hiking in winter is not recommended. The mountain hut of Vilinac is often unmanned and winds can exceed 220km/h. Many of the region’s hikers will tell you that Prenj is Bosnia’s most attractive hiking destination, but also the most unforgiving one. 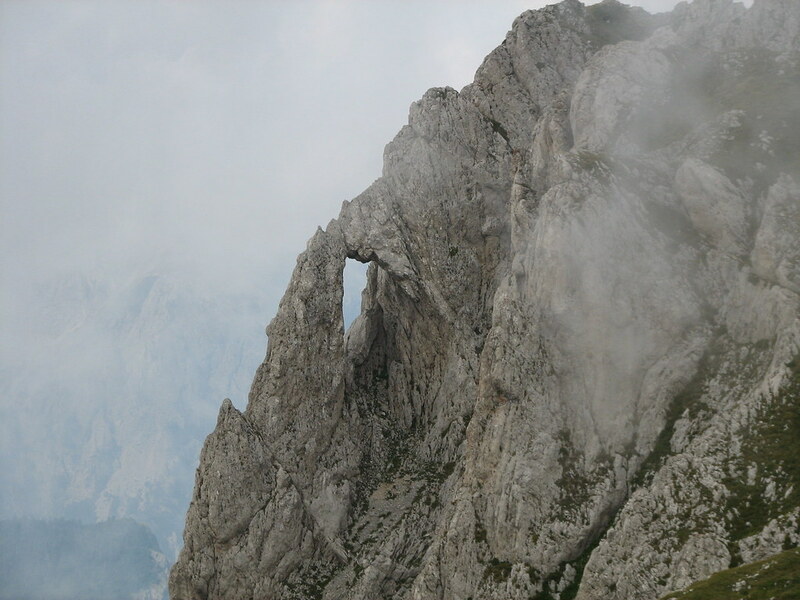 It is located in the very heart of the Dinaric Alps and is home to epic karst scenery, a challenge for hikers trying to reach its peak. The nearest town to Prenj is Konjic, located about an hour’s drive from either Mostar or Sarajevo. Hikers are rewarded with some of the most beautiful karst scenery imaginable, but the ascent can be technically demanding and steep towards its summit, Zelena Glava. Starting from the Ruište or Vrutak huts the hike takes between 5 and 7 hours, from the Jezerce hut it’s more like 3 to 4 hours. The final part of the hike is covered by nothing other than rock, some of which is slippery and requires skills, fitness and a pair of serious hiking boots. A cable is installed during the final stretch making the climb somewhat easier for less experienced hikers. 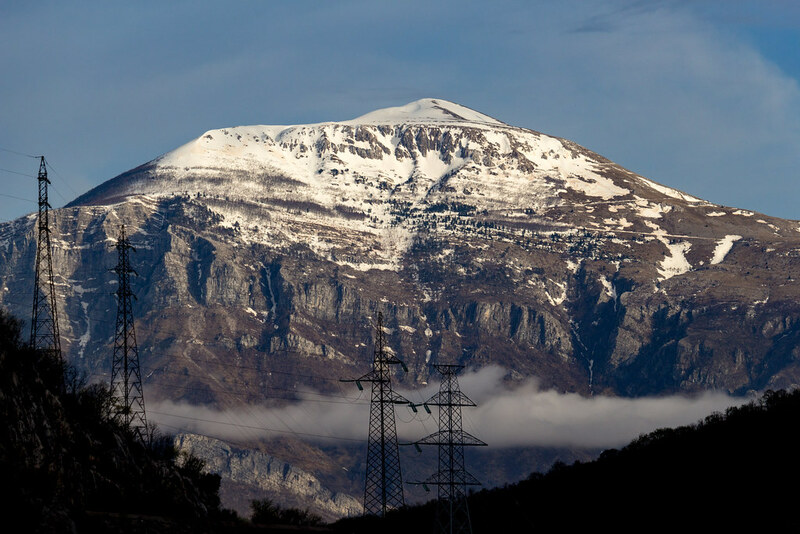 The highest, and certainly one of the most amazing mountains in the country, Maglić (2386m), sits in its Eastern part. Maglić is located within the amazing National Park of Sutjeska, home to one of Europe’s last primeval forests, Peručica. The nearest towns are Foča and Tjentište and are quick and easy to reach from Sarajevo. Closer to Sarajevo, but still in the general Eastern direction, lie the Olympic mountains of Bjelašnica, Trebević and Jahorina. Bjelašnica is particularly good for hikers seeking a mild and picturesque route, with good local cuisine. Maglić is Bosnia’s highest mountain at 2386m and a must-see. 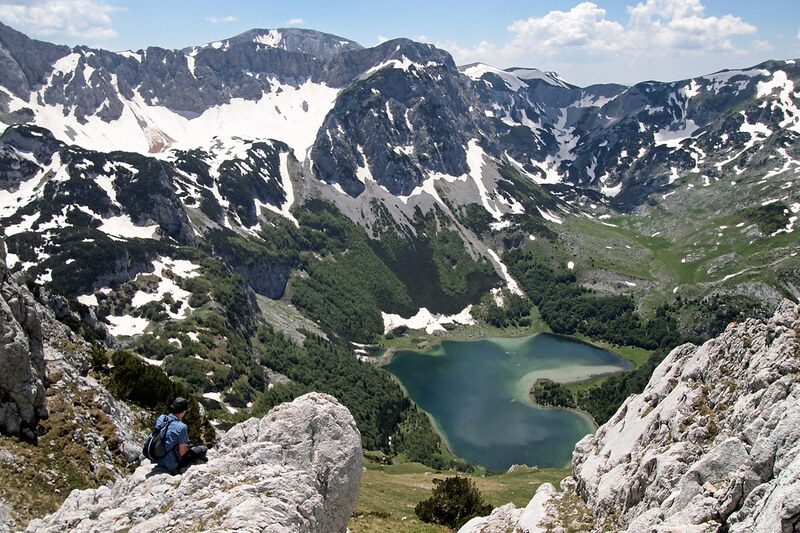 Being part of the Sutjeska National Park, it boasts an abundance of nature and endemic plants and animal species unmatched by other mountains in the region. Up to 1500m to 1600m of Maglić is overgrown with pine and beech forests, and above with lush grasslands full of medicinal herbs, hiding in Maglić’s many ridges and peaks. The nearest town to Maglić is Tjentište, near Foča, which is about a 2-hour drive from Sarajevo and just over 2 hours from Mostar. There are two main starting points, Prijevor and Dernećište, both are reached by about 20km of gravel road, which can take up to 30 minutes by car, depending on the road conditions. Maglić is a mountain of many faces and the difficulty of the ascent largely depends on the route you take. Prijevor, where accommodation in traditional stone huts with wood fired ovens is available, is the more popular starting point. The easiest and perhaps the most scenic route is from Prijevor and passes by the Trnovačko Lake. The lake is an amazing sight with lots of photo opportunities. Reaching the summit along this path will take between 5 and 7 hours. The route is, for the most part, well-marked. There is an alternative route starting from Prijevor, not recommended for inexperienced hikers or those afraid of heights. It is filled with steep rocky sections which may require some rock climbing skills and extra equipment. The final stretch is covered by a cable; however, its anchor points have not been maintained for a very long time and are of questionable safety. Descending this path is equally, if not more difficult. This route is notably shorter than the Trnovačko Lake route and will take an experienced hiker 4 to 5 hours but can take inexperienced hikers up to 8 hours. There have been occasions of unprepared hikers and tourists getting injured on this route and requiring rescue, which is why it should not be attempted without adequate equipment and preparation. An alternative route, slightly less difficult than the one above, is from the Dernećište starting point. A mix of mild scenic hikes through forests and lush meadows ending in a steep climb secured by four well-maintained cables. Ascending this path will take 5 and 7 hours. Maglić sits right on the border between Bosnia and Montenegro, with parts of all routes entering Montenegrin territory, so visitors should have their passports with them at all times. Visiting the Sutjeska National park is a great opportunity to also visit Peručica, one of Europe’s last primeval forests. Entry is inexpensive but must be arranged in advance and can only be done in the company of Park Rangers. Not nearly as eastward as Maglić, Bjelašnica is a mountain perhaps more famous for its skiing and the 1984 winter Olympics, but it is also home to some great hikes. These tend to be milder compared to some of the mountains above but offer a unique and insightful experience into the local culture and lifestyle. Bjelašnica is about a 30-minute drive from Sarajevo and about 2 to 3 hours from Mostar. All of its starting points are accessible via asphalt roads. Being a popular and well-frequented destination mountain huts and local, inexpensive food is plentiful. All routes are well marked. Bjelašnica offers many different hikes, but perhaps the most popular one is from the village of Umoljani to the village of Lukomir, which is Bosnia’s highest inhabited and most remote village. It can often be completely isolated during heavy snowfall in winter. The village of Umoljani is easily reached by car and the hike to Lukomir takes 3 to 5 hours. The hike is mostly over flat and picturesque grasslands and is very easy. Visiting Lukomir is a great opportunity to experience the local culture and a chance to try out some hearty local cuisine. Along the way, you can also see the amazing Rakitnica canyon, which can be so steep and deep that you can’t see its bottom from the ridges of Bjelašnica. Hiking to Lukomir village is perhaps even more amazing during winter, with fantastic opportunities for snow-shoeing. Another great hike is to the peak of Hranisava (1967m). The peak offers a true 360-degree view of most of Bosnia’s greatest mountains. This 3 to 4-hour hike starts from the village of Lokve, with a 20-minute drive to your starting point at Salihagina Bajta. The first half takes you through a lush pine forest until you reach the Stanari mountain hut. From there it gets slightly steeper to the peak of Hranisava. Reaching Bjelašnica’s summit (2067m) is a 3 to 5-hour hike that starts from the easily reachable and unmissable police station. The hike’s starting point is hard to miss and is very well marked. While relatively easy it does require a reasonable level of fitness. On the way to the top, which is home to an important meteorological station, hikers will catch a glimpse of Bjelašnica’s beautiful highlands. 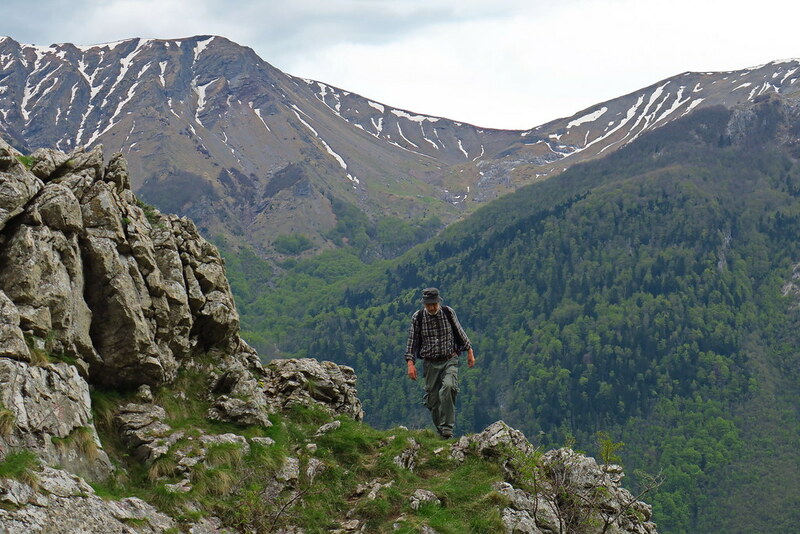 Discover hiking the Via Dinarica and other adventures in Bosnia and Herzegovina.